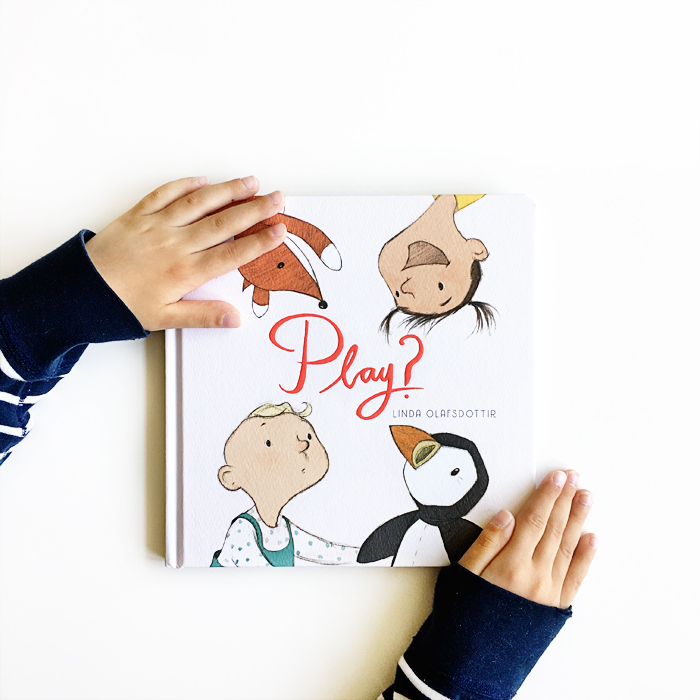 A perfect book for toddlers as they begin to communicate, negotiate, navigate the world of play and experience its ups and downs. Linda Olafsdottir effectively pairs the sparest of text with sweet illustrations to portray the essence of the relationship between Phil, Frida and their stuffed playmates in all its newness and unfettered joy. PLAY? was written and illustrated by Linda Ólafsdóttir and published by Cameron + Company. Cameron + Company is giving away two copies of PLAY? This giveaway is open to US/Canada residents only and ends on Wednesday, April 12, at 11:59 PST. Head over to this Instagram post to enter.